There is an interplay between the anatomy of the articular surfaces, their relationship to the axes of rotation of the normal knee, and the four principle ligaments that stabilize the knee that gives the knee its complex and spectacularly successful kinematics. These kinematics are complex, but now are well understood owing to clinical and biomechanical research. 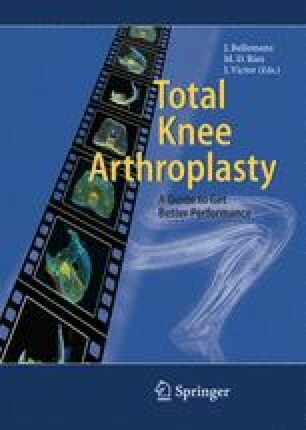 With resurfacing total knee replacement comes the possibility of altering this complex interplay to the detriment of both function and survival of the prosthetic reconstruction. It is imperative that the surgeon understand this interplay and seek to reproduce it through the replacement surgery. Moreover, it is also important to understand the specific consequences of the common malalignments so they can be detected and corrected prior to finishing the arthroplasty.